IJCT is a leading international journals for publication of new ideas, the state of the art research results and fundamental advances in all aspects of computer science and engineering. IJCT Journal will provide a quality readable and valuable addition to the knowledge. This will serve as resources for researchers along with to provide support to the scholars to enable them to undertake and disseminate their research and to help them for development of their own skills of reasoning and understanding. IJCT is a scholarly open access, peer reviewed international journal with a primary objective to provide the academic community and industry for the submission of half of original research and applications related to Computer Science and Engineering. Submitted papers will be reviewed by Technical Committees of the Journal. All submitted articles should report original, experimental or theoretical, and will be peer-reviewed. Articles submitted to the journal should meet these criteria and must not be under consideration for publication elsewhere. Manuscripts should follow the style of the journal and are subject to both review and editing. All manuscripts are subject to rapid peer review. Those of high quality will be published without delay. Affiliation : Cairo University, MASME, MAMSE, Egypt. Department : Department of Mechanical Design and Production. 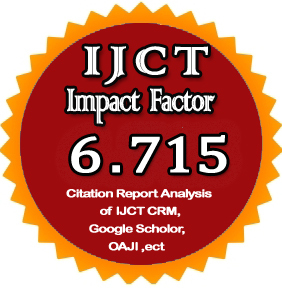 ★ IJCT Impact Factor is 6.715 More Details Click Here. ★"Digital Object Identifier (DOI :10.29126/23942231)" number to each published article. ★ IJCT is an International, Peer reviewed, Open Access Journal. ★ Paper publishing process is relatively fast and easy. 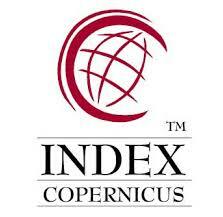 ★ Open access journal database for high visibility and promotion of your articles. ★ Authors can download their full length paper at any time. ★ Author's queries shall be resolved within 24 hours of time.